N. Savchenko: The War in Afghanistan and the War in Ukraine. A statistical comparison. Despite the fact that these two wars are seemingly different from each other, it is very important and interesting to compare them statistically. When we make an attentive comparison we can see that in terms of costs and losses they have a lot more in common than it would seem at first glance. So it might be worthwhile thinking about the possible outcome of this war. And this also goes for the moral, social and of course spiritual consequences. The war in Afghanistan lasted from the end of December, 1979 to February 15, 1989 (nine years, one and a half months). In Ukraine it has been going on for five and a half months. 620,000 thousand Soviet soldiers and officers served in Afghanistan, a continuous contingent of 80 – 100,000 troops served there. 50 thousand soldiers and officers are on the Ukrainian side right now, there are no less than 20,000 insurgents and hidden Russian soldiers, although there are no official statistics. We see here a number of comparable indicators. Soviet losses in Afghanistan amounted to 14.5 thousand people who died instantly and those who died from wounds and disease, and nearly 54 thousand wounded (an average of 4.5 killed per day). Ukrainian losses number about 1,000 killed and up to 3,000 wounded (an average of six killed every day). There are no data for the separatists and the Russians. Thus we see that the Ukrainian war is almost 1.5 times bloodier than the Afghanistan war in terms of average losses per month. If the contingent in Afghanistan was almost unchanged throughout the war, in Ukraine there was a steady increase in the forces of both sides, the main losses occurred during the last period. So that the Ukrainian war is distinctly more costly in monthly losses than even the Afghan war. This should be remembered. Various media have questioned the official Ukrainian losses of 1,000 killed at the end of September. Although the desire to diminish our losses is clear, we would also like to have some way of having an approximate idea of how accurate this data is. The ratio of killed to wounded in the official data completely matches the classical ratio. The number of wounded approximates to the data coming periodically from various places about the number of wounded in military and civilian hospitals from different areas. If there were substantially more deaths than mentioned in official accounts this would mean proportionally more wounded, substantially more in fact. In turn this would significantly change the distribution of wounded throughout the hospitals in various regions of Ukraine, causing overcrowding at these hospitals. This is not happening, for now. Another assessment of the accuracy of the pattern of loss can again be evaluated from the comparison with the Afghan war. According to the figures of the Ukrainian General Staff, the number of militants and Russian forces reached 20,000 well-armed men. But the overall number of armed groups of Mujahideen during the Afghan war reached 200-250,000 in 1985 and stayed at that level, with nearly 70,000 Mujahideen killed in the war. The average losses to the Ukrainian army fighting 20,000 Donbas separatists is even higher than the average losses in a partisan war with ten times as many Mujahideen in Afghanistan. I think that this proportion is a very accurate representation of the actual picture. So we would emphasize that the war in Ukraine is significantly more bloody than even the war in Afghanistan. During the war in Afghanistan, Soviet armed forces lost 147 tanks (1.3 tanks a month) and 1314 infantry fighting vehicles, armoured personnel cariers and combat vehicles (an average of 12 units per month). According to the LostArmour database in Ukraine which collects all the photos and video evidence of lost equipment, Ukraine has lost 74 tanks and 20 SAU [self-propelled artillery units] (an average of 13 tanks a month) and 201 combat vehicles, armored personnel carriers and airborne combat vehicles [BMD] (36.5 units a month). Thus the loss of Ukrainian army armored vehicles is 3-10 times higher than it was for the Soviet army in Afghanistan. This second conclusion is also necessary to remember. In Afghanistan, the Soviet airforce lost 118 aircraft and 333 helicopters (1.1 airplanes and three helicopters per month). It is also known that starting from 1986 the losses to Soviet aviation were evaluated as being unreasonably high because the Afghan Mujahideen were using American “Stinger” rockets. In 1986 they were provided with 250 Stinger launchers and 500 rockets. The increased loss in airplanes was one of the causes for the defeat of the Soviet forces in Afghanistan. According to the Aviation Safety Network, Ukraine has lost 11 combat, reconnaissance and transport planes (two per month) during the war. Therefore, aviation losses in the war in Ukraine are about two times higher than in Afghanistan. The loss ratio of helicopters is about the same, 2-3 times higher than in Afghanistan. There are no data for the losses of separatists and Russian troops in Ukraine, but based on the data for Ukrainian losses we can estimate that they are at least comparable with Ukrainian losses. This means that it is very likely the monthly losses are even higher than they were in Afghanistan. This is also a possible conclusion. When comparing Ukrainian losses in the current war with Soviet losses in Afghanistan, it should be remembered that Ukraine is several times smaller than the USSR, but is taking higher monthly losses than the whole USSR. The Mujahideen were receiving large and constant assistance with weapons worth billions of dollars from the USA, Saudi Arabia, Iran, China, Pakistan. The media have not mentioned the help that the Donetsk militants have been given to provide them greater success than the Mujahideen. We can only assume that it was a lot. Maybe there was no help as all the central media confirm? Maybe the militants took all the weapons and ammunition as booty? This could be suggested but then it should be estimated that if anyone were to counter that the Afghanistan Mujahideen did not receive any help from outside then this assertion would be one and a half times more convincing than ours. With all their considerable help the Mujahideen inflicted fewer losses on us than Ukrainians are suffering from the militants. A comparative picture of the losses in Afghanistan and Ukraine shows that loss of airplanes, helicopters or personnel were not the main reason for withdrawing Soviet forces from Afghanistan. If Ukraine can take such losses, even with some stress, then the USSR could have borne them. Especially considering the media were controlled, in contrast to Ukrainian media today. So what was the main cause of the defeat of the USSR? What determined the outcome of the war in Afghanistan? An answer to this question is particularly important because it determines the future understanding of the war in Ukraine. The important point is that during the Afghanistan war about a million civilians were killed. Nearly three million civilian wounded were recorded for the whole period of the war and the immediate period following it from its consequences. And this is in a country with a recorded population of 15.5 million in 1979. The figures for losses of around one million vary according to the different sources, and the academic community is in discussion over it, but the methods of demographic balance derive figures from 800,000 to 1.3 million. These figures include deaths from artillery and aircraft strikes by the Soviet and Afghan forces, as well as the increase in death rate in the population compared with the pre-war level. Both figures are comparable. There were also about 3.5 million refugees from Afghanistan to Pakistan and the same number escaped to Iran. The total was about 7 million people. The province of Peshawar in Pakistan and the surroundings of the city Meshed in Iran where I happened to be, are still the home for most of the refugees from that time. About half the refugees from the times of the Soviet Afghan war have not been able to go back to their home country. Ruins and unemployment were all they could expect at home. For a long time it had not been possible to work on the land. According to the UN land mine program, the Soviet Union laid no fewer than 10 million antipersonnel mines from airplanes in Afghanistan. Now 3 to 4% of the whole Afghan population has injuries from mines of varying severity, the number of people with amputations per thousand people in Afghanistan is a hundred times higher than in the USA. The losses to the civilian population of Afghanistan and the suffering of 7 million refugees leaving the country became the main reason for ending the Soviet–Afghan war. International reaction to the introduction of troops was almost unanimous. The USSR was criticized not just by capitalist countries, but also by all the countries in the Islamic world. Even communist China and Stalinist Albania glorified the Mujahideen’s war against the USSR. This international opinion came even after the socialist camp had done its work. This was even more so when everyone heard the cries of 7 million refugees and saw the endless deaths in Afghanistan. It will be the same now. The same sufferings for the civilian population in Ukraine will define the balance of the war in Ukraine. The main front of the war in Donbas is not the trenches around Donetsk, Luhansk and Mariupol, but the invisible lines of the information war. This is why the largest forces are thrown onto the television front in our country and the most serious professionals are running them. They understand what the threat is. 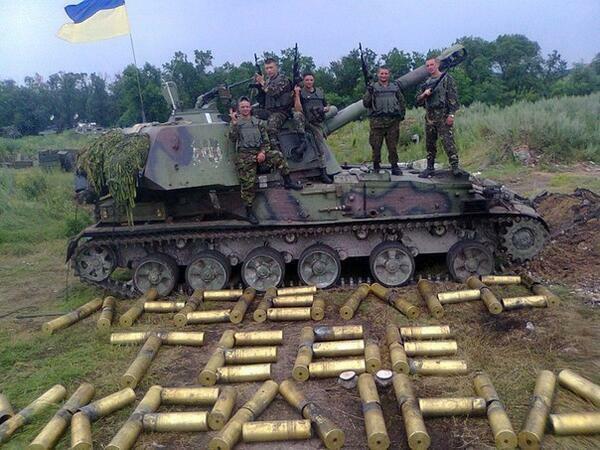 The war in Ukraine will not be won by tanks, planes, “Grad” systems and American arms. The people will win it. And the people are the biggest losers in this war. The greater the losses, the stronger and more swiftly will the perpetrators be defeated. Currently in Ukraine over three hundred thousand persons have been recorded as being displaced from the east. According to the UN refugee programme, there could be three times that number in Ukraine, the calculations only cover those who are officially registered. About 800,000 refugees went to Russia. The suffering of the population of Donbas will only get worse this winter. Even if there is a temporary peace, the cold and unemployment will continue to make their effects felt. Electricity cuts, the call for the final coal revenues from the Donbas mine may affect not just Donetsk, but even Crimea. The poor conditions of the refugees in the their new homes will become a serious problem. The question “Who is responsible for all this suffering?” will be asked more often. This is why the information war is proceeding so actively with accusations of genocide. It is an attempt to avoid an answer. But these accusations do not eliminate the legal question of who is to blame. So the information war only increases the number of refugees. Frightened people are more and more frequently running away. So the information war will only make more people ask who is to blame. And ask louder and louder. And eventually the numbers will reach a critical mass. This question gets various answers. For our country there is evidence that no change to the better is to be expected. The vast majority of the world decided to answer this Russian philosophical question. Ukraine has also mostly decided what surveys in the eastern regions have proven. Winter electricity cuts, gas shortages, cold and an economic blockade confirm them in their response. It is already evident. There is now a different question: how to change the opinion of our people. And the best thing to do is to admit one’s own guilt. That would be the Christian thing to do. And it would be the safest thing to do for the future of our Russia. Many in the West understand that such changes in psychology will take place against a background of refugees suffering. The UN has accumulated vast experience in working with displaced persons in different continents over the last half-century. In Donbas the same is happening as in Yugoslavia, Afghanistan, Cambodia and central Africa. 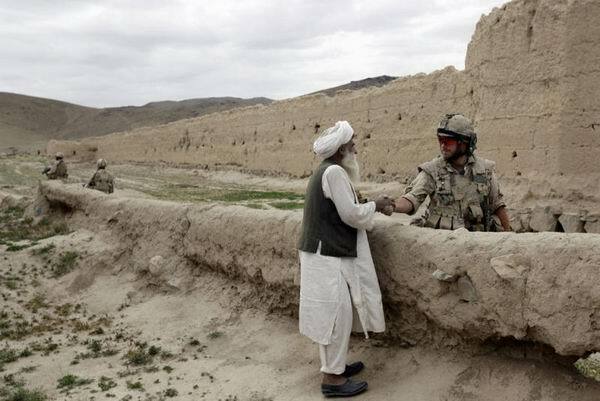 And this shows us that it will all be as it was in Afghanistan. Only faster. And our response to Donbas will be just as it was to Afghanistan at the end of the 1980s. And the result will be the same. That is obvious. You have only to hold a cross and the Gospels to understand what is going on. And the statistics only help us to more precisely realize this. This entry was posted in Analytics, English, English News, Others, South&Eastern Ukraine, War in Donbas and tagged #RussiaInvadedUkraine, #UkraineUnderAttack, Afghanistan war, Mark Solonin, Ukraine. Bookmark the permalink.